If you need an additional elearning developer or pair of hands to help with elearning design and development, whether you are an elearning development company or to simply bolster your in-house L&D development team, I can be booked on a day rate basis as a remote freelancer. I have worked with many large e-learning houses in the UK as a remote additional resource, to bolster their teams and help develop many different projects covering a wide area of subjects for some big name brands and household names. Do you have an existing PowerPoint presentation you would like to convert to an elearning course? I can assist by developing that into an interactive course in one of the modern authoring tools, making it HTML5, mobile responsive learning. Old legacy courses built in the Flash (.swf) format can be converted to the modern HTML5 format so it will work and display on all devices. See below for reasons why you should consider this. 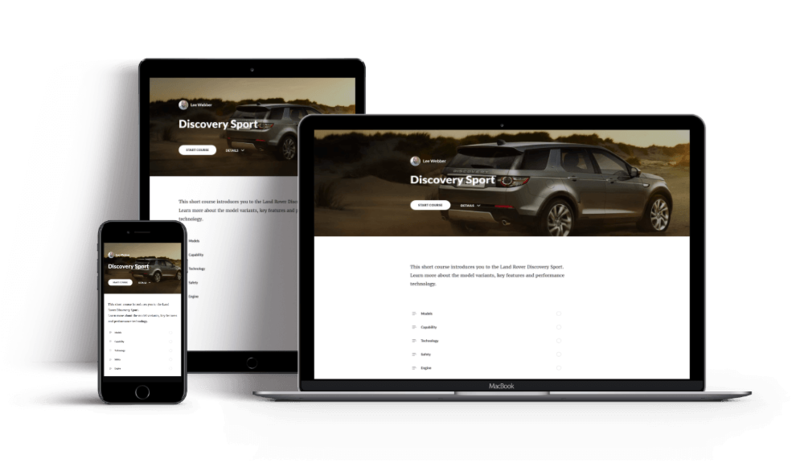 If you require a new course designed & developed from scratch and authored in one of the modern HTML5 mobile responsive authoring tools for display on any device, I can help. Micro-learning and small nuggets of learning are the way forward. Please contact me with your requirements for a no-obligation quote. Flash based elearning courses (.swf) have been around for many years. However, times have changed and whilst Flash was fine in the 1990’s, learners today access courses on multiple devices, many of which no longer support Flash. Why move away from Flash? The first nail in the coffin for Flash came when Apple refused to allow Flash content to run on their devices (iPads, iPhones etc). Adobe themselves then announced they would no longer be developing Flash. More recently though, many browsers have started to remove the ability to run Flash; Google Chrome is one of the latest which does not activate Flash content as standard. 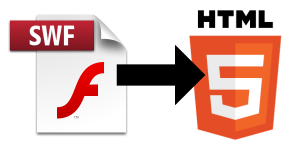 It will only be a matter of time before Flash is no longer supported by any of the major browsers as more and more companies, including YouTube and others, move away from Flash based sites and content to modern HTML5. Because learners today access content and courses on various devices, it is vital that any elearning now developed is mobile responsive and built in HTML5. This will ensure the course will not only work on all devices, regardless of make or model, but that it will adjust the display for each device screen size. If you have legacy elearning courses that were built in Flash, you should look at having these re-authored in one of the modern authoring tools which will produce content that is HTML5 and mobile responsive. Authoring tools I develop with. Below are the main authoring tools I develop with. Many of my clients have different requirements and often ask for a module to be developed in a particular authoring tool. Sometimes this is so they can have the source file and edit the module later on if amendments are needed or they might have in-house development/L&D teams who only use a specific authoring tool. 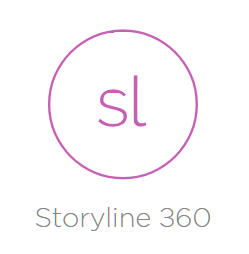 Storyline 360 is one of the popular authoring tools from Articulate, and is part of their 360 suite of applications for easily creating HTML5 e-learning which works across all devices. The new responsive player dynamically adapts to tablet and smartphone screens, providing an optimal view of your course on every device. Storyline 360 has some rich functionality, and by utilising layers, variables and states I can create engaging elearning modules and courses. Articulate Rise is the new browser based authoring tool which allows the development of courses for every device. 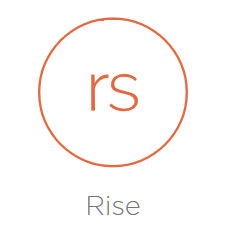 Rise automatically adapts courses. It’s responsive authoring the way it should be. gomo is a scalable multi-device elearning authoring tool. It creates responsive and adaptive content automatically. From one single HTML code base, content can be published once and accessed on desktops, tablets and smartphones. gomo is a collaborative, cloud-based Software as a Service (SaaS) solution, accessible to teams from anywhere in the world. Captivate is Adobes flagship authoring tool, which has long been trusted by more than 80% of Fortune 500 companies to create compelling eLearning content. Easily author virtually any kind of responsive interactive eLearning content. Create HD product demos, application simulations, soft-skills and compliance training materials, live and self-paced online courses, self-service videos, employee on-boarding modules, and more. Camtasia is not technically an elearning authoring tool but more of a powerful screen recording and video editing piece of software. This enables the recording of whatever is shown on your computer screen allowing you to turn that recording into a published video file. Used to make online lessons, screencasts, software tutorials or product demos. Screen recordings can be turned into compelling videos with Camtasia’s video editing tools, adding pan and zoom effects, call outs, animations, and other effects.